September 11 to 17, two staff members of Théâtre la Seizième went to Ottawa for the 7th edition of the Zones Théâtrales biennial. This year, the biennial presented seven plays, three workshop performances, six new reading experiences, and many other exciting activities aimed at French-speaking theatre professionals from the whole country. 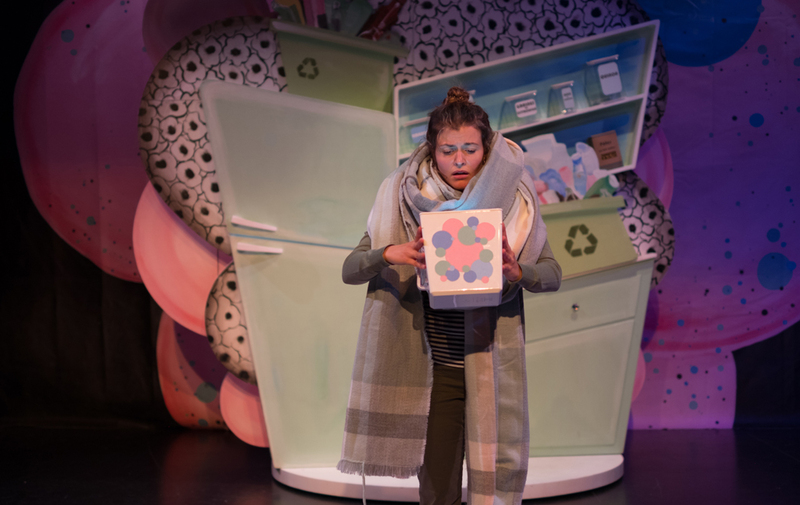 Produced by the National Arts Center, the biennial provided us with the opportunity to give the first public reading of Crème-Glacée, this season’s show for children. It was written by Marie-Hélène Larose-Truchon and will be directed by Marie Farsi. The showcase was brought to life by the actors Emilie Leclerc, Sabrina Auclair, and Sonia Gareau-Brennan on Tuesday, September 12th at the Arts Court Theatre. The venue was packed with more than 100 people. During the showcase, Marie Farsi explained her vision and understanding of the unconventional text. She unveiled the features of the puppet that is key to the show and described some of the decorative items chosen. This was a great chance for people to learn about her creative thinking process while providing Marie and her team with the perfect opportunity to test their creativity tricks. The feedback was very positive and energized the whole team, for the actual creation phase in March 2018. The show will be presented on April 7th at Studio 16 to the general public and will be on tour in elementary schools in British Columbia and Alberta from April 3rd to June 8th, 2018.